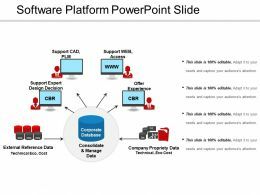 Presenting software platform network powerpoint layout. 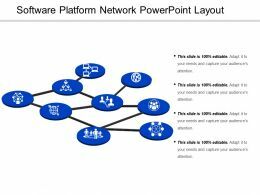 This is a software platform network powerpoint layout. This is a four stage process. The stages in this process are software platform, software architecture, software stack. 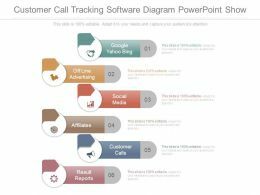 Presenting software metrics icon ppt background template. This is a software metrics icon ppt background template. This is a one stage process. The stages in this process are metrics icon, kpis icon, statistics icon. 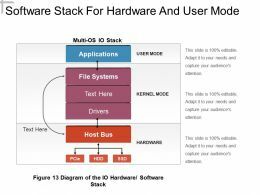 Presenting software stack for hardware and user mode. This is a software stack for hardware and user mode. This is a three stage process. 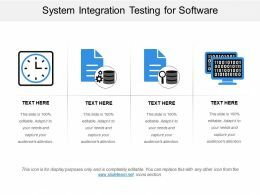 The stages in this process are technology stack, software stack, software application. Presenting software metrics icon powerpoint ideas. This is a software metrics icon powerpoint ideas. This is a one stage process. The stages in this process are metrics icon, kpis icon, statistics icon. 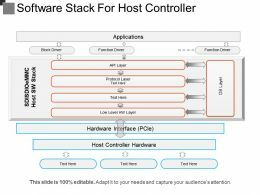 Presenting software stack for host controller. 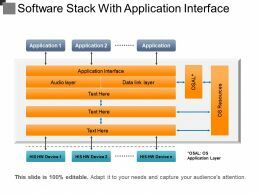 This is a software stack for host controller. This is a six stage process. The stages in this process are technology stack, software stack, software application. Presenting three level of cloud stack for software services ppt slides. 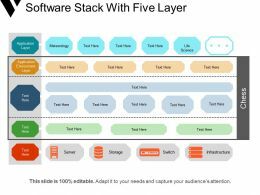 This is a three level of cloud stack for software services ppt slides. This is a three stage process. The stages in this process are virtualization. 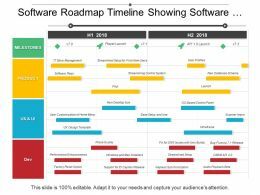 Presenting this set of slides with name - Software Roadmap Timeline Showing Software Requirements. This is a two stage process. The stages in this process are Software Roadmap Timeline, Programming Roadmap Timeline. 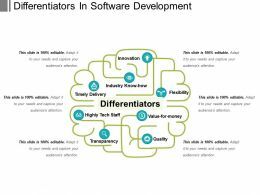 Presenting differentiators in software development. This is a differentiators in software development. This is a six stage process. The stages in this process are differentiators, difference, unique. 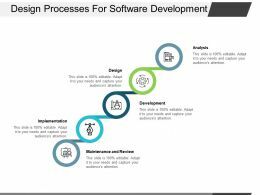 Presenting this set of slides with name - Software Project Development Process. This is a six stage process. The stages in this process are Business Development Methodologies, Product Development Process, Development Process. 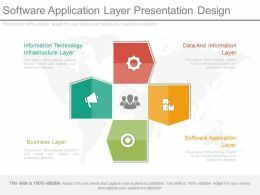 Presenting software platform architecture design powerpoint ideas. 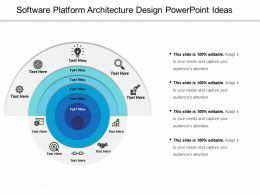 This is a software platform architecture design powerpoint ideas. This is a five stage process. 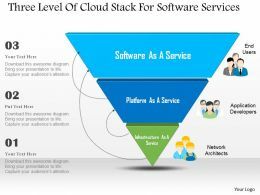 The stages in this process are software platform, software architecture, software stack. Presenting relic software analytics platform good ppt example. 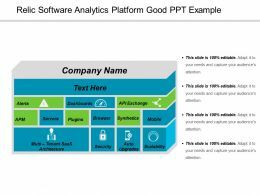 This is a relic software analytics platform good ppt example. This is a four stage process. The stages in this process are software platform, software architecture, software stack. 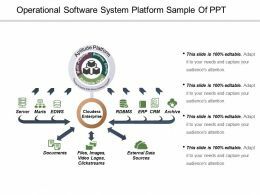 Presenting operational software system platform sample of ppt. 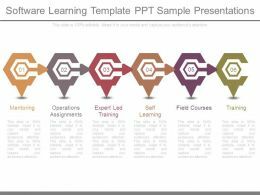 This is a operational software system platform sample of ppt. This is a five stage process. 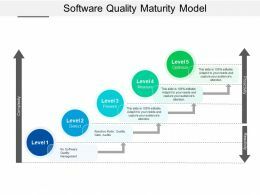 The stages in this process are software platform, software architecture, software stack. 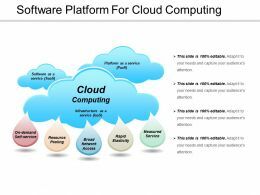 Presenting software platform for cloud computing powerpoint images. 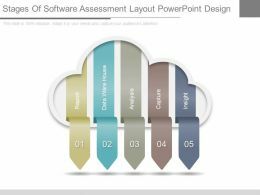 This is a software platform for cloud computing powerpoint images. This is a three stage process. The stages in this process are software platform, software architecture, software stack. Presenting sensor up iot software platform powerpoint guide. 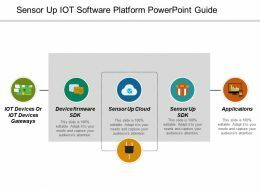 This is a sensor up iot software platform powerpoint guide. This is a five stage process. The stages in this process are software platform, software architecture, software stack. 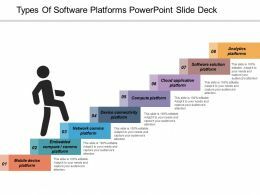 Presenting types of software platforms powerpoint slide deck. 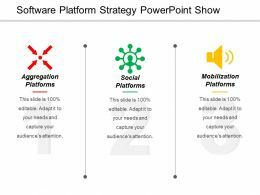 This is a types of software platforms powerpoint slide deck. This is a eight stage process. The stages in this process are software platform, software architecture, software stack. 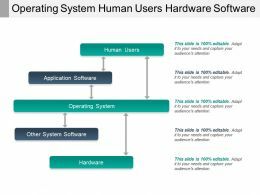 Presenting operating system software hardware application. 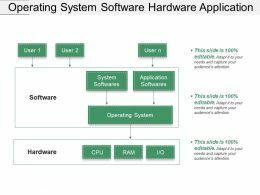 This is a operating system software hardware application. This is a three stage process. 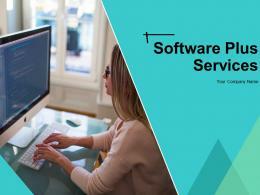 The stages in this process are system software, operating system, software development. Presenting this set of slides with name - Software Implementation Icon Ppt Design. This is a one stage process. 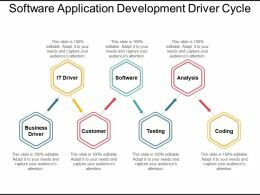 The stages in this process are Software Implementation, Software Execution, Software Development. Presenting this set of slides with name - Design Processes For Software Development. This is a five stage process. The stages in this process are Design Processes, Design Management, Design Procedure. 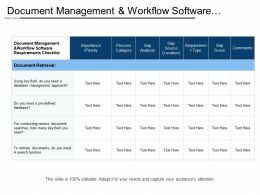 Presenting this set of slides with name - Document Management And Workflow Software Requirements Checklist. This is a seven stage process. 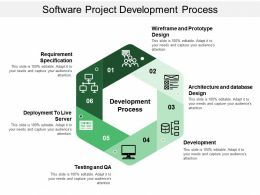 The stages in this process are Software Requirements, Software Needs, Software Development. Presenting this set of slides with name - Software Implementation Icon Ppt Presentation Examples. This is a one stage process. 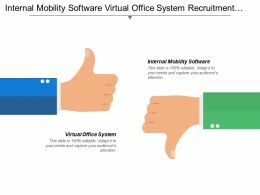 The stages in this process are Software Implementation, Software Execution, Software Development. 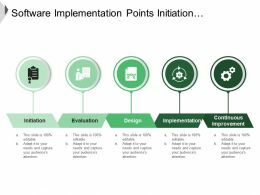 Presenting this set of slides with name - Software Implementation Points Initiation Evaluation And Implementation. This is a five stage process. 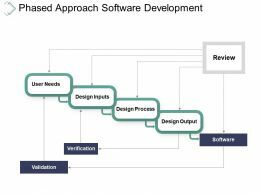 The stages in this process are Software Implementation, Software Execution, Software Development. 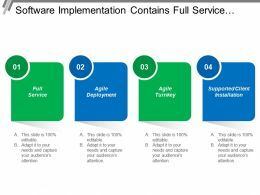 Presenting this set of slides with name - Software Implementation Contains Full Service Agile Deployment. This is a four stage process. 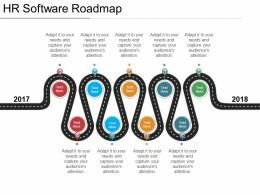 The stages in this process are Software Implementation, Software Execution, Software Development. 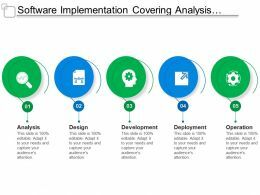 Presenting this set of slides with name - Software Implementation Contains Requirement Discovery Analysis. This is a six stage process. 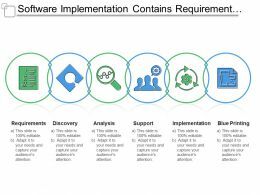 The stages in this process are Software Implementation, Software Execution, Software Development. 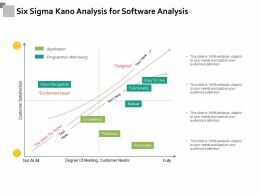 Presenting this set of slides with name - Software Implementation Covering Analysis Design And Operation. This is a five stage process. 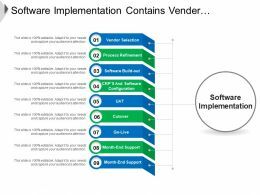 The stages in this process are Software Implementation, Software Execution, Software Development. 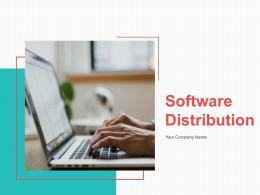 Presenting this set of slides with name - Software Implementation Icon Ppt Sample Presentations. This is a four stage process. 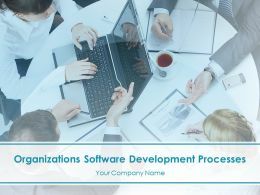 The stages in this process are Software Implementation, Software Execution, Software Development. 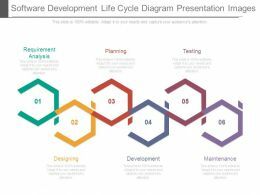 Presenting software development life cycle diagram presentation images. This is a software development life cycle diagram presentation images. This is a six stage process. The stages in this process are requirement analysis,planning,testing,maintenance,development,designing. 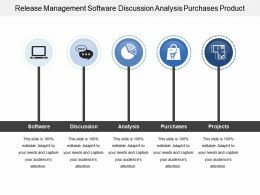 Presenting this set of slides with name - Release Management Software Discussion Analysis Purchases Product. This is a five stage process. 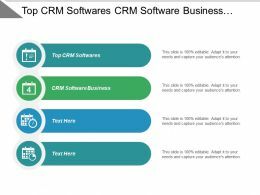 The stages in this process are Release Management, Software Release, Software Development. 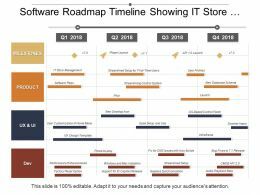 Presenting this set of slides with name - Software Roadmap Timeline Showing It Store Management. This is a four stage process. The stages in this process are Software Roadmap Timeline, Programming Roadmap Timeline. 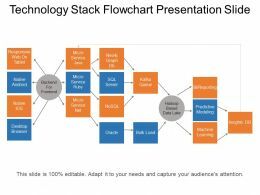 Presenting marketing technology stack diagram. 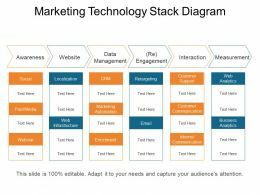 This is a marketing technology stack diagram. This is a six stage process. 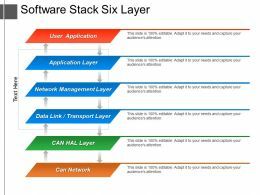 The stages in this process are technology stack, software stack, software application. 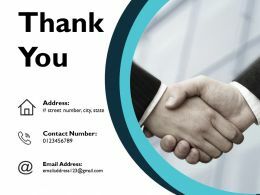 Presenting retail software solutions ppt example professional. 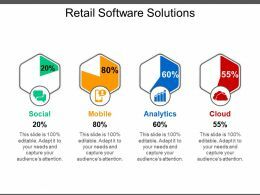 This is a retail software solutions ppt example professional. This is a four stage process. The stages in this process are technology solutions,software solutions,information technology. 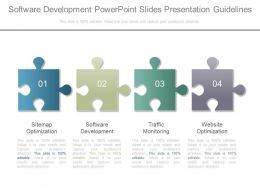 Presenting software development powerpoint slides presentation guidelines. 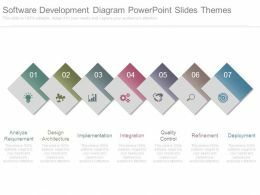 This is a software development powerpoint slides presentation guidelines. This is a four stage process. 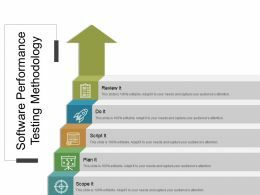 The stages in this process are sitemap optimization, software development, traffic monitoring, website optimization. 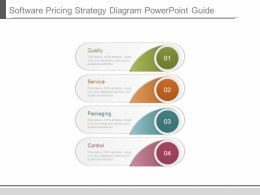 Presenting software pricing strategy diagram powerpoint guide. 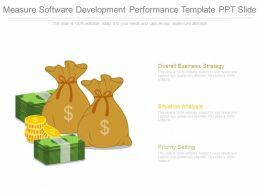 Presenting software pricing strategy diagram powerpoint guide. 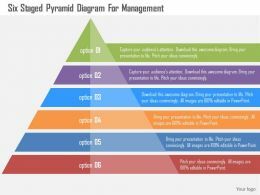 This is a software pricing strategy diagram powerpoint guide. This is a four stage process. The stages in this process are quality, service, packaging, control. Presenting this set of slides with name - Technology Stack Icons. This is a two stage process. 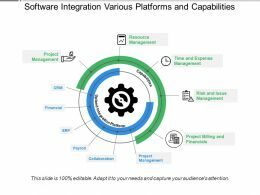 The stages in this process are Technology Stack, Software Stack, Software Application. 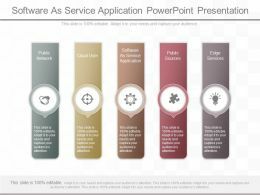 Presenting innovative software as service application powerpoint presentation. 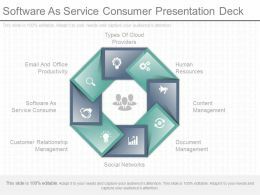 This is a software as service application powerpoint presentation. This is a five stage process. 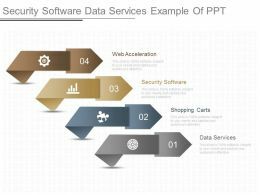 The stages in this process are public network, cloud user, software as service application, public sources, edge services. Presenting risk analysis in software testing ppt ideas. 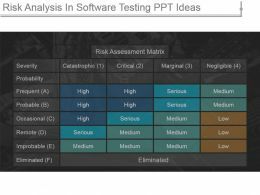 This is a risk analysis in software testing ppt ideas. This is a four stage process. The stages in this process are severity, probability, frequent, probable, occasional, remote, improbable, eliminated. 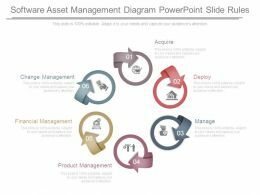 Presenting software management advise template powerpoint ideas. 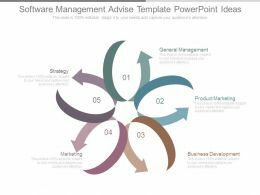 This is a software management advise template powerpoint ideas. This is a five stage process. The stages in this process are general management, product marketing, business development, marketing, strategy. 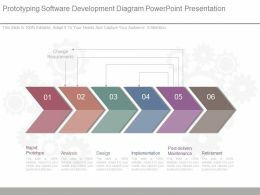 Presenting software development estimation process ppt powerpoint ideas. 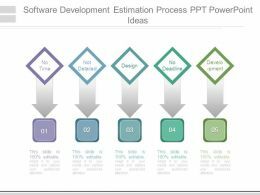 This is a software development estimation process ppt powerpoint ideas. This is a five stage process. The stages in this process are no time, not detailed, design, no deadline, develo pment. Presenting measure software development performance template ppt slide. 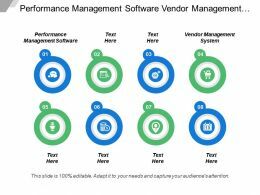 This is a measure software development performance template ppt slide. This is a three stage process. The stages in this process are overall business strategy, situation analysis, priority setting. 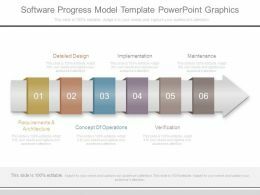 Presenting software project plan diagram powerpoint templates. 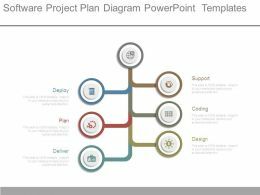 This is a software project plan diagram powerpoint templates. This is a seven stage process. The stages in this process are deploy, support, coding, plan, deliver, design. Presenting quality management software systems example ppt model. 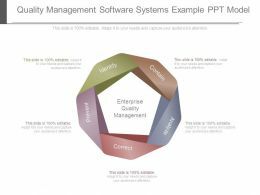 This is a quality management software systems example ppt model. This is a five stage process. The stages in this process are identify, contain, analyze, correct, prevent, enterprise quality management. 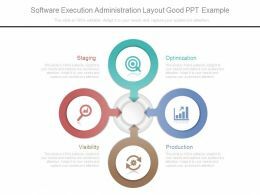 Presenting software execution administration layout good ppt example. 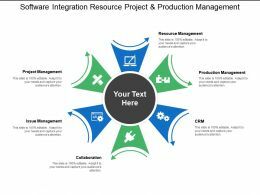 This is a software execution administration layout good ppt example. This is a three stage process. The stages in this process are optimization, production, visibility, staging. 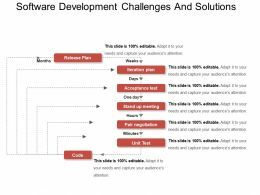 Presenting software development challenges and solutions ppt background. 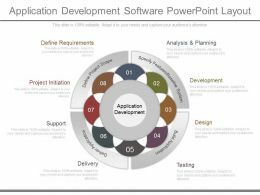 This is a software development challenges and solutions ppt background. This is a five stage process. The stages in this process are Challenges And Solutions, issues and solutions, problem and solution. 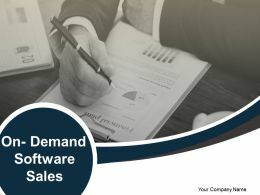 Presenting this set of slides with name - Thank You On Demand Software Sales. This is a one stage process. The stages in this process are Thank You. 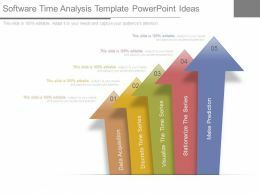 Presenting software time analysis template powerpoint ideas. 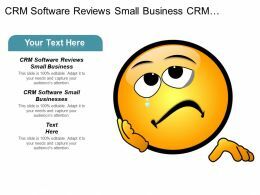 This is a software time analysis template powerpoint ideas. This is a five stage process. The stages in this process are data acquisition, discrete time series, visualize the time series, stationaries the series, make prediction. 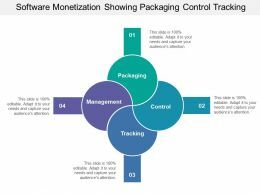 Presenting this set of slides with name - Software Monetization Showing Packaging Control Tracking. This is a four stage process. The stages in this process are Monetization, Legal Tender, Money. 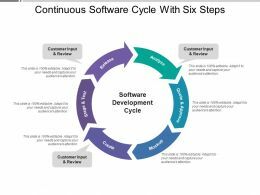 Presenting this set of slides with name - Continuous Software Cycle With Six Steps. This is a six stage process. The stages in this process are Continuous Process, Repeating Process, Continuous Cycle. 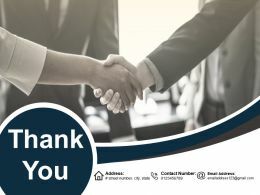 Presenting this set of slides with name - Thank You Software As A Service Sales. This is a one stage process. The stages in this process are Thank You. Presenting technology stack for web applications. 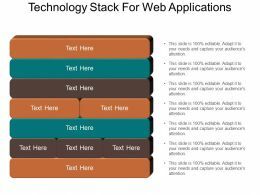 This is a technology stack for web applications. This is a seven stage process. The stages in this process are technology stack, software stack, software application. 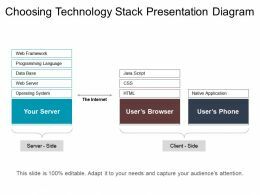 Presenting browser technology stack powerpoint template. This is a browser technology stack powerpoint template. This is a one stage process. 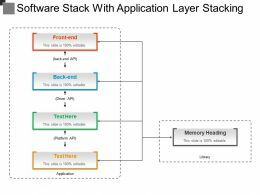 The stages in this process are technology stack, software stack, software application. 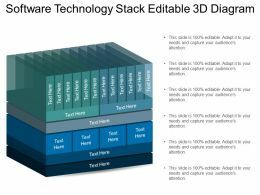 Presenting choosing technology stack presentation diagra. 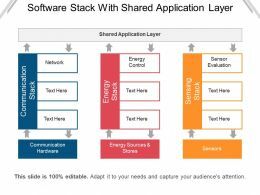 This is a choosing technology stack presentation diagra. This is a three stage process. 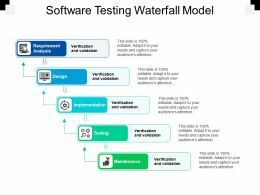 The stages in this process are technology stack, software stack, software application. 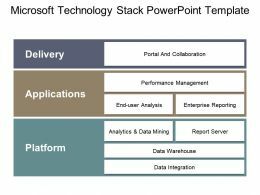 Presenting microsoft technology stack powerpoint template. 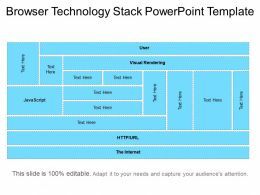 This is a microsoft technology stack powerpoint template. This is a three stage process. The stages in this process are technology stack, software stack, software application. 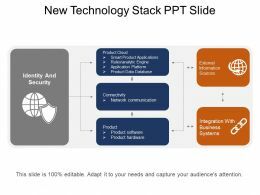 Presenting new technology stack ppt slide. This is a new technology stack ppt slide. This is a three stage process. 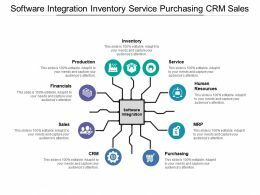 The stages in this process are technology stack, software stack, software application.